Read, Write, Love, Blog: Summer is Coming! Oh yes. The days that so many people wait for! Ahhh the joys of summer. The flowers are out, the sun SOMETIMES shows its' face through thick English clouds, and i have a tan! Which is always a bonus i think. I have put together a compilation of all my favourite summer clothing that i have seen online, from different websites i have found. The brilliant thing about this is that, us, normal people who don't have trillions of pounds to spend can afford them! However, i have put some designer ones in too to show the difference. As much as i love designer clothes, being a student, i simply cannot afford to splash the cash for a new swimming costume every six months! I hope you like this :) I L.O.V.E jumpsuits. And it has to be said, i think nautical and floral is back in! 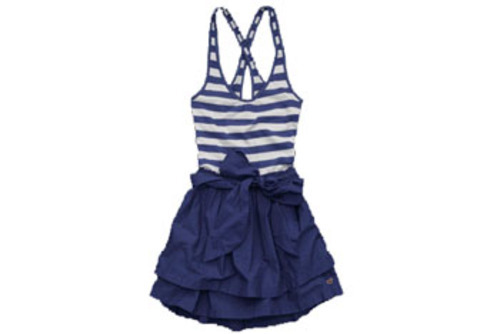 The Hollister Nautical dress... at £40 it's not too expensive. YAY! Primark, possibly my all time fave shop. This dress i think is lovely and would also be good in the winter with a cardi, leggings and uggs. This Chanel Jumpsuit is great, and i love it with his little jacket, but i think that the make-up and hair is too fierce for such a casual summer look. And also, it's so expensive and to be honest, i prefer the one from primark! I love this denim cropped jacket, brogues, satchel and primark jumpsuit. It's trendy, casual and incredibly chic all in one. Definitely a great summer buy! 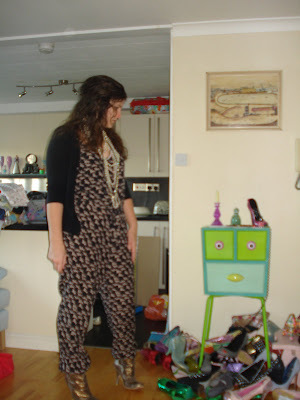 This is another Primark jumpsuit i found on someone else's blog. I love how she has teemed a lovely jumpsuit with a black cardi, High heels (good for a night out, but you can wear them with flats or gladiators) and a really great pearl necklace! Very chic and cool, BUT, at a fraction of the price! I also love play suits- just a short jumpsuit in effect. This particular one is from Primark and i love the colour! It would look great with big sunglasses, a cardi, big pearl necklace, some serious bling and a hair ribbon! 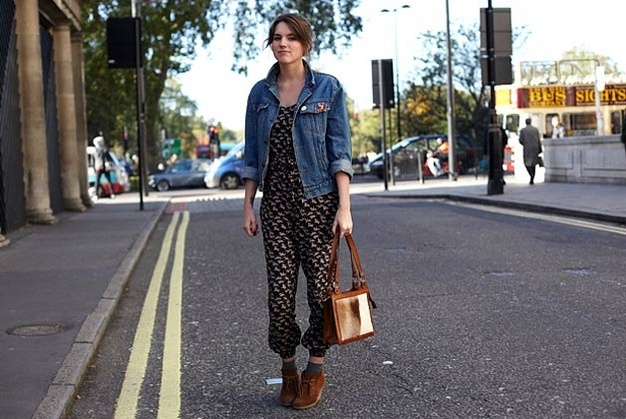 This season, one of the most fruitful and fabulous trends has been women's playsuits and jumpsuits. 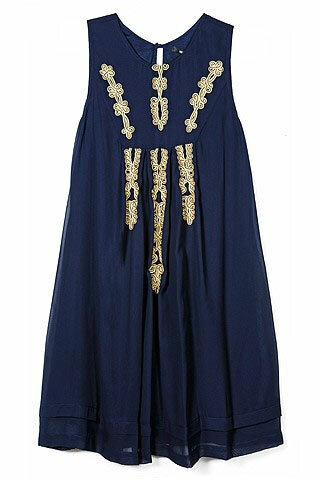 Its success must be largely due to the fact that it appeals to fashions fans of vintage style, incorporating looks from the 40s, 50s and 70s, and as a bonus, is highly comfortable and easy to wear. Try the playsuit or different jumpsuits with a pair of Mary Janes or stilettos and a shiny layer of brick-red lipstick for a classic Femme Fetale ensemble, or a pair of pumps and wavy hair for a more 70s bohemian style. 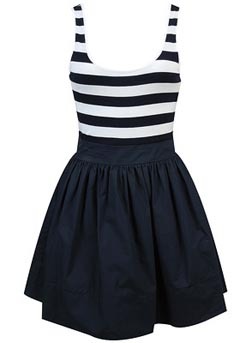 I am in love with this H&M nautical dress, but i dont see it on their website, where did you find it? i cannot find the H&M one, but even better - i have found one from forever 21 for $14.50. i just googled it now, but the blog post it was from was from a long time ago, so they might not still have them in stock. hope this helps, sorry you couldn't find it straight away!